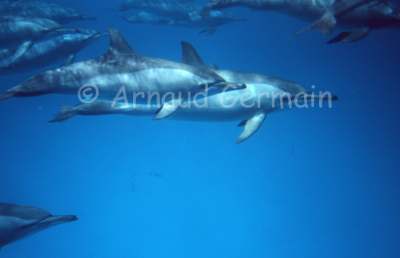 Being accepted in the middle of a pod of wild dolphins is an unforgetable experience. It was the last day of our liveboard and only a few people went in the water when we saw the dolphins. I stayed more than 30 minutes with the pod, snorkelling. I went down a few times with them and they were happy with my presence. I took about 20 pictures.